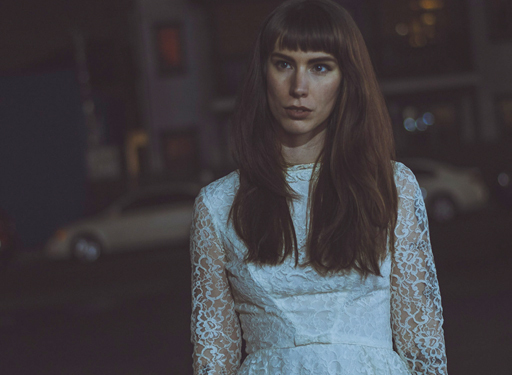 Originally from Philadelphia but now based in LA, electropop singer Kate Faust’s latest single, ‘Trouble’, is an intoxicatingly delicious dance track. Kate Faust is an in-demand collaborator, whose added her vocals to tracks by artists such as avant-jazz saxophonist Adam Turchin, electronic producer Osage, and afro-futurist Fhloston Paradigm. She’s also released several EPs of her own, of poetic pop, garnering praise from the likes of Philadelphia radio station WXPN, who described it as “unique and genre-bending”. It’s a totally unique sound, which draws its inspiration in equal parts from neo-soul, trip hop, Bjork-like alt-pop, and a sound akin to Lady Gaga’s early releases. The video for ‘Trouble’ replicates the sense of unease present in the single, while at the same time underscoring its beauty. Kate is dressed elegantly; singing directly to the camera, but her face is often obscured by fog, light, or patterns which fracture her image. Find out more about Kate Faust from her official website.